It’s the same conversation that we all have about New Year resolutions every year. Yes, you know the one – the one about how you really, really want to get fit, gain a promotion at work, meet your dream lover or any number of other lovely and noble, but ultimately unlikely-to-be-achieved dreams. Sure enough, only about 8% of New Year resolutions are actually achieved, according to one statistic cited by The Huffington Post. 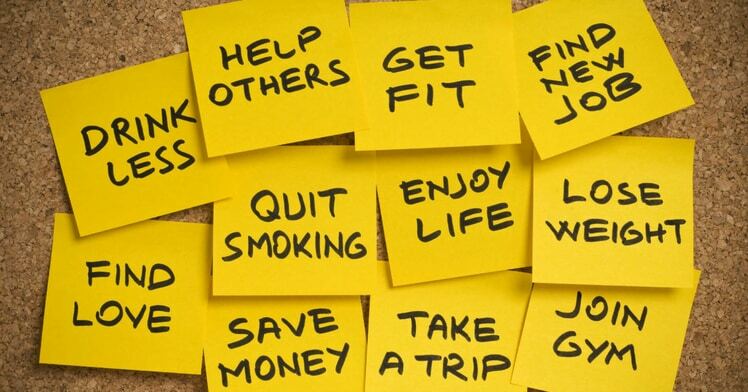 So, what should you do this year? Carry on with the same old discredited routine, pick some better resolutions or just forget about it all? If you reckon the best approach to the seemingly inevitable New Year resolution cycle of failure is good old-fashioned mockery, you can certainly find plenty to raise a bit of mirth online. Another user of the microblogging platform, Siddharth Singh, suggested “Startup idea: a gym named Resolution that runs for the 1st month of the year, collects subscription fee, then converts to a bar named Regret”. Or maybe there’s genuine hope after all? Perhaps all of this fatalism isn’t doing us any good. Maybe we actually can turn this particular New Year tradition on its head by choosing better, more achievable resolutions? Again, you can find a fair bit of help with that online. Over at Lifehack, Ivan Dimitrijevic has outlined 50 New Year’s Resolution Ideas And How To Achieve Each Of Them, covering a bit of everything from “Get in shape” and “Start eating healthier food” to “Face your fears and insecurities” and “Start writing a book/journal”. Of course, there are many other resolutions that you could set, and here at Profit Accumulator, we could reel off all of the obvious ones. But it’s arguably your mindset that most needs to change if you are to make your New Year’s resolution stick, given the unrealistic expectations of self-change that many of us have – something called ‘false hope syndrome’ by the experts. Setting and keeping New Year resolutions is hard – we all know that. So in the spirit of the more realistic approach suggested by Professor Herman, why not make it your goal in 2017 to keep your bank account in better shape? That’s a goal that can be partly accomplished by cutting back on your current spending, of course, with good tips including turning off electrical appliances when not in use, switching energy suppliers and cycling or walking to work. However, great financial management also involves making money, which is why you may find our recent article on five of the best ways to make money online especially useful during 2017’s early months. You can probably guess where all of this money talk is leading: yep, matched betting. Far from the mere short-lived fad that so many people imagined it to be years ago, the practice continues to enjoy a strong following among sports betting fans, in part because it generates such incredible results. 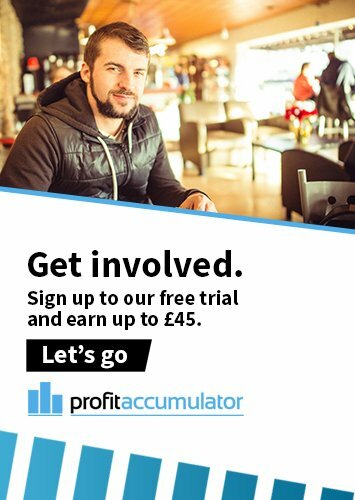 Nor are our many members here at Profit Accumulator merely earning pennies rather than pounds, as anyone who read our recent blog post investigating how much money was made on our platform in 2016 will know. Suffice to say that earnings of between £1,000 and £2,000 a month could be well within your grasp when you matched bet with us. But do you know the best thing about making the regular placement of matched bets with Profit Accumulator your New Year’s resolution? It requires hardly any of the effort and sacrifice required for traditional resolutions! Indeed, we’ve designed and created our specialised matched betting interface to be as easy to use as possible, so you will soon be able to look forward to bumper returns. Register now to discover that to achieve seemingly unrealistic goals this New Year, you don’t necessarily need to overcome nigh-on insurmountable odds!